Doesn’t this north Houston engagement scream STUNNING?! As photographers there are a few things we can’t create, we can create beautiful light and we can create beautiful poses but we can not create the connection that a couple truly madly in love with each other has. This is what I LOVE about these photos, these two are so in love and it is so easy to see. I could have posted 50 photos on this post but then Jonathan would have scolded me so here are a few of my favorites from this beautiful engagement session at Houston Oaks Country Club. The oak trees are unstoppable out there. 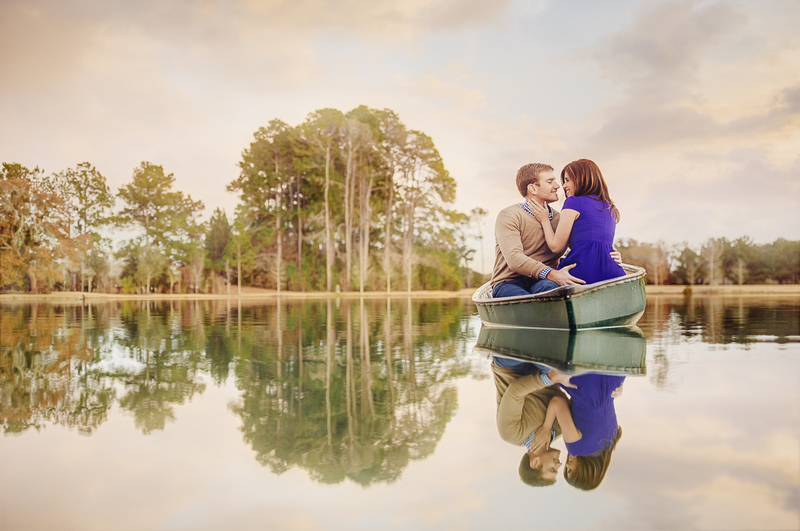 We didn’t start out with The Notebook theme for this engagement shoot, but who could pass up on a romantic canoe trip on this gorgeous pond? LOVE LOVE LOVE the reflections off the Fish Camp lake!